The Alumnae Chapel in Thomson Hall provides a lovely backdrop for either a formal or informal ceremony. For your musical accompaniment, Steinway pianos and the marvelous Möller organ are available. Alumnae Chapel in Thompson Hall- This beautiful indoor ceremony location can seat upwards of 450 guests and gives you theatre style seating in one of the most picturesque indoor wedding venues in all of Franklin County. Thomson Chapel rents for $500 for the day and includes a 3 hour time frame the evening before to have a rehearsal. 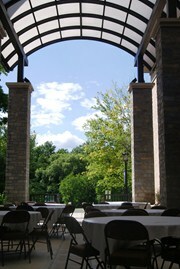 Jensen Dining Hall is the perfect location for a wedding reception for up to 200 guests. With beautiful large windows and hard woods floors, your guests are sure to be impressed! Jensen is rented on a per day basis from 8:00 a.m. to Midnight for only $1,000.00 for the day (includes all tables, chairs, white linens and setup). 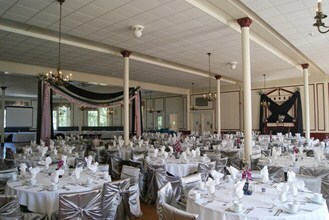 Laird Hall can accommodate a large reception with up to 350 guests. Our bright spacious room offers unlimited decorating options. 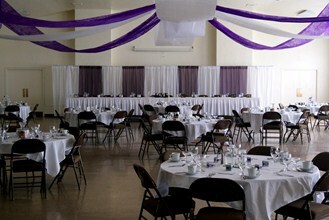 Laird Hall is rented on a per day basis from 8:00 a.m. to Midnight for only $1,000.00 for the day (includes all tables, chairs, white linens and setup). 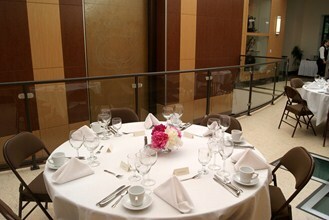 Brooks Science Center is the perfect location for rehearsal dinners and can accommodate up to 50 family and friends. This modern style space is set right in front of an active indoor water fall. Beautiful outdoor covered space is also available. 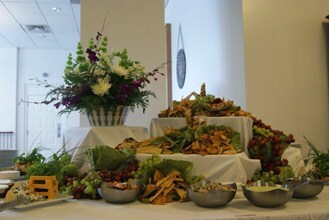 Catering: Events at Wilson College are catered exclusively by Wilson's catering services. 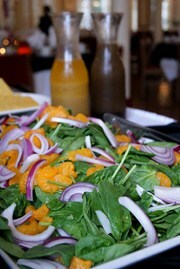 With the professional SAGE Dining Services staff your entire wedding menu is completely designed from the ground up. Once you decide to host your event at Wilson we can schedule a time to sit down one on one with our Culinary certified Chef's to talk about what you would like to have served. This can include a favorite dish, something you have had elsewhere even a family recipe. Once you and your fiancé have decided the approximate time of year for your wedding, contact us and let us help you find the right facility and date for your special day.